The Barcelona is an excellent choice with the double pickets on bottom to contain small animals (usually not cats). 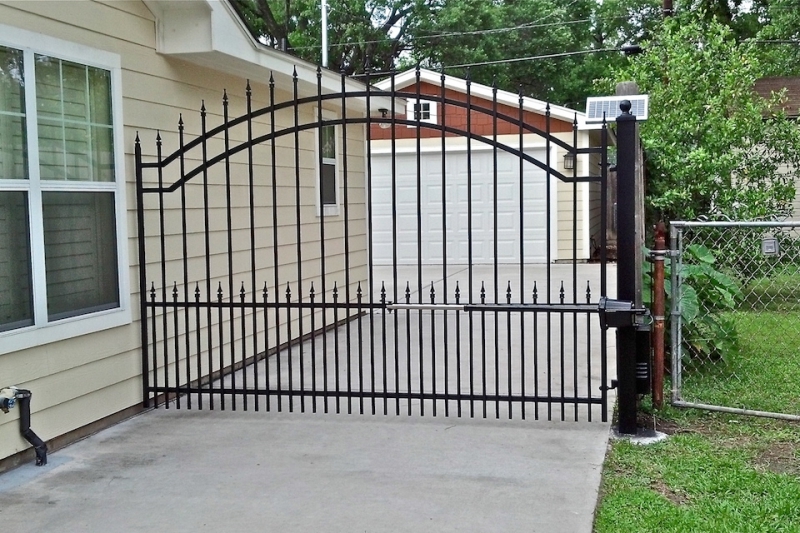 Many customers also like the look of the double pickets. 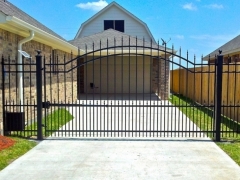 However, if you are concerned about someone climbing over your gate this style along with the economy are easier to climb because of the middle frame rail. Picket spacing 4’. 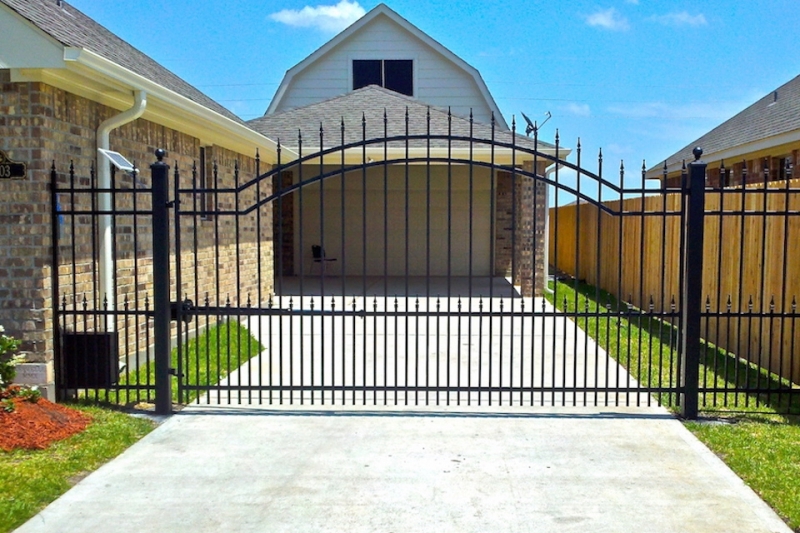 Frame built with 4 rails, two on top, one on bottom and one in the middle. Frame size is 1 1/4”. Support posts 4” x 4” set 5’ deep. Paint primer is dipped for 100% coverage. Finish coat is sprayed with two coats of satin black enamel. 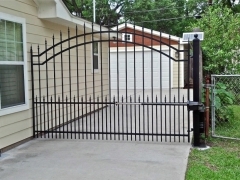 This gate is offered with a picket point or a smooth top rail. 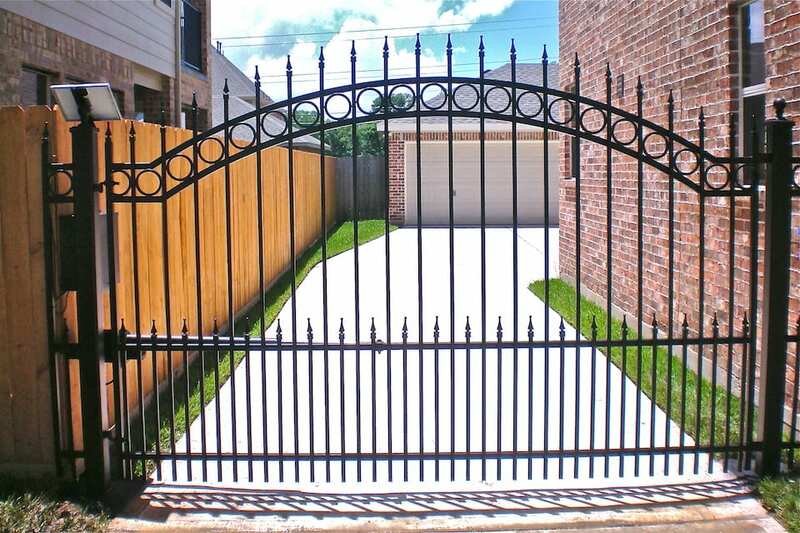 Also we can build this gate with or without arched top.